Skoda Auto will show a production-ready version of the Skoda Vision X in March 2019. The Skoda Vision X was showcased as a concept hybrid crossover by the company during the Geneva International Motor Show 2018 in March this year. 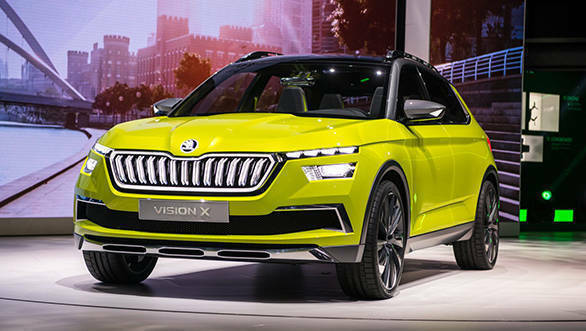 The Skoda Vision X is a petrol/CNG and electric hybrid which will sit below the Skoda Kodiaq and Karoq SUVs in the company's lineup as its smallest SUV. The design of the Skoda Vision X concept is based on the company's Crysteline Design Language, but it may get toned down for the production version. 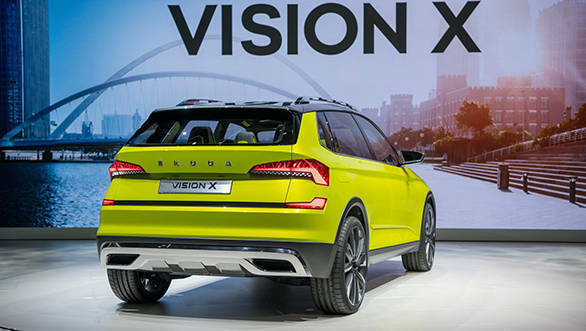 Skoda says that the Vision X is the next systematic step in its SUV strategy. The production version of the Vision X Concept could also be headed to India in the future underpinned by the Volkswagen MQB A0 platform, but when it arrives has not been announced as yet. 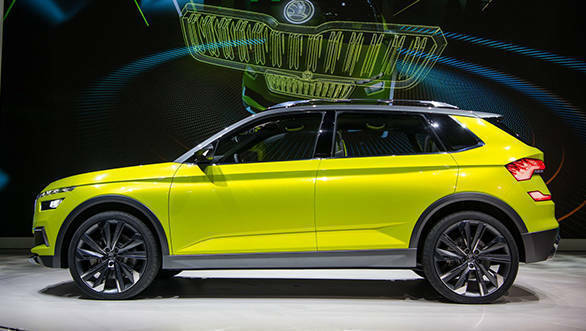 Skoda says that the Vision X concept has been developed to suit the active lifestyle its target user. The Vision X concept comes powered by an all-new 1.5-litre G-TEC turbocharged four-cylinder engine. This engine has been specially developed for a use with CNG. The CNG powertrain is supported by two electric motors for all-wheel drive. The 48-volt lithium-ion battery for the motors also benefits from charging via regenerative braking. The engine produces 130PS / 200Nm, with the electric motors providing an additional 70Nm. The Vision X also features drive modes so the driver can choose the mode that best suits their usage. The Vision X can go from 0 to 100kmph in a claimed 9.3 seconds, with a top speed of 200kmph. It has a combined range of nearly 650km.